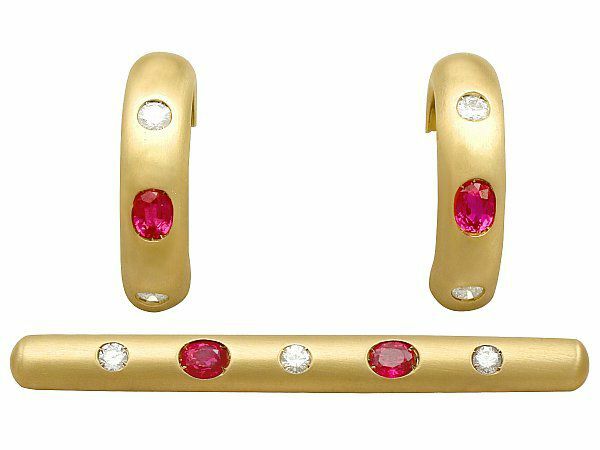 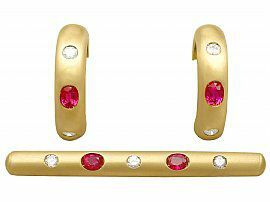 This fine and impressive ruby earring and brooch set has been crafted in 18 ct yellow gold. 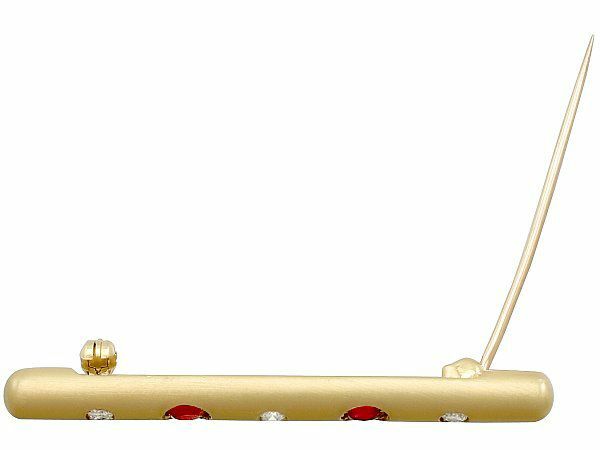 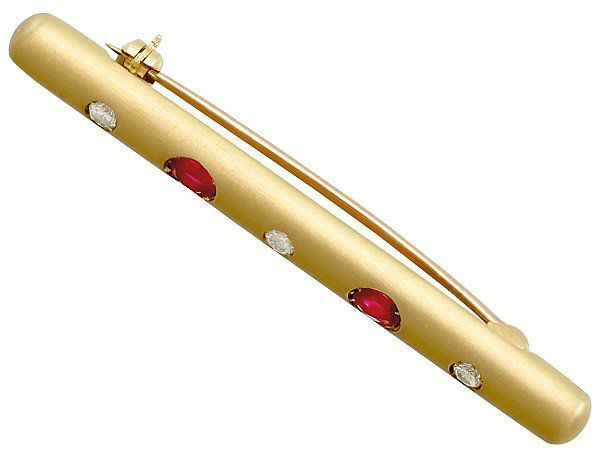 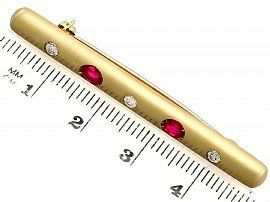 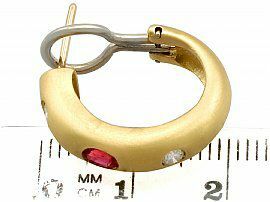 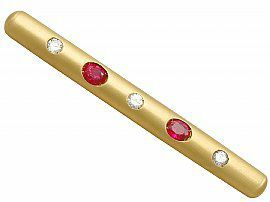 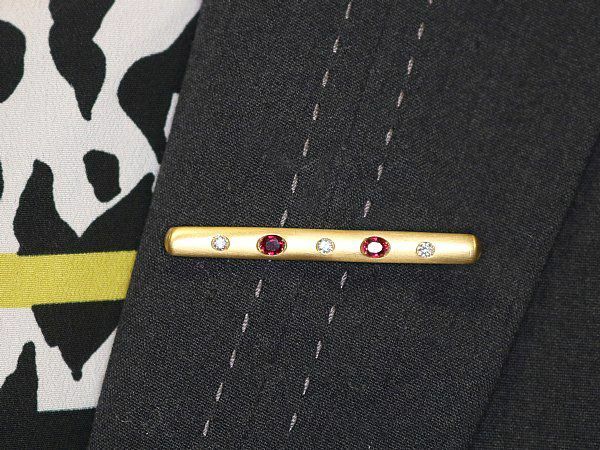 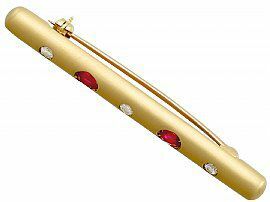 The impressive rounded bar brooch displays two collet set oval cut natural rubies set alternately between three, well colour matched, collet set modern brilliant round cut diamonds. The brooch secures to the reverse with a hinged pin and security clasp fastening. 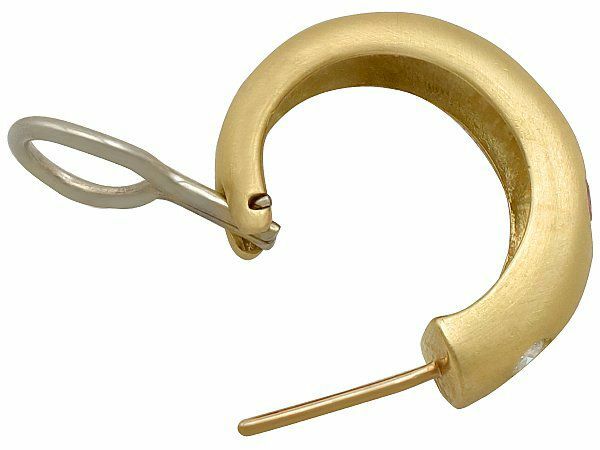 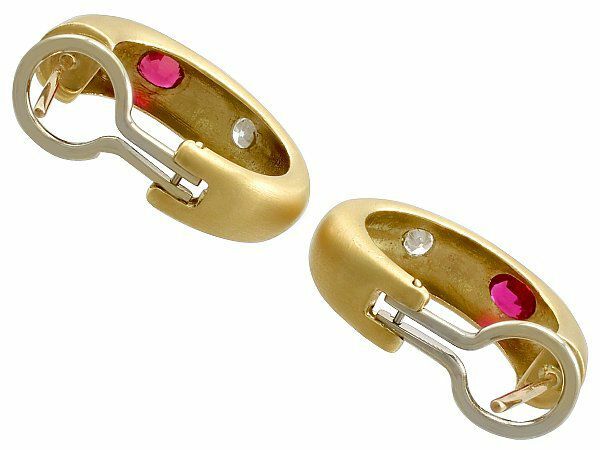 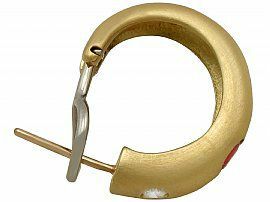 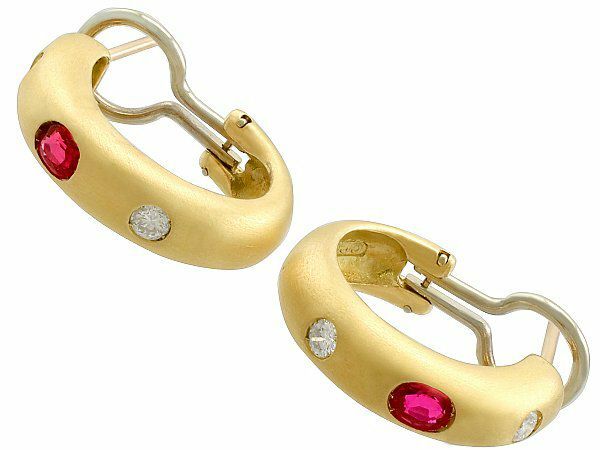 The earrings secure with a hinged Omega style fastening. 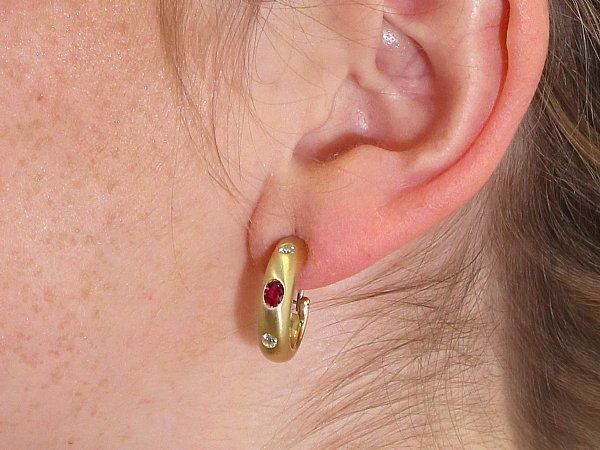 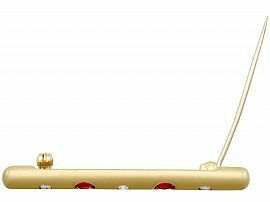 The brooch and earrings are hallmarked to the reverse with the maker's mark 'CCC', the gold guarantee mark (crown), the 18 ct gold fineness mark (750), the London Assay Office hallmark (leopard's head) and the date letter for 1989(p). 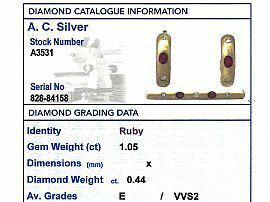 This impressive vintage jewellery set is supplied with two independent diamond grading report cards, one for the brooch and one for the earrings. 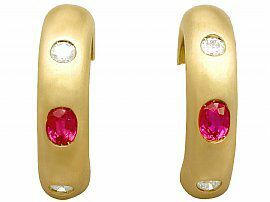 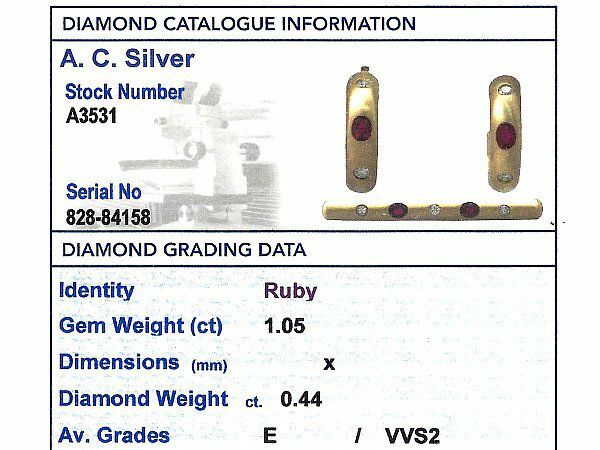 The components of earring and brooch set are fine quality, set with natural rubies and very high colour graded and very high clarity graded diamonds. 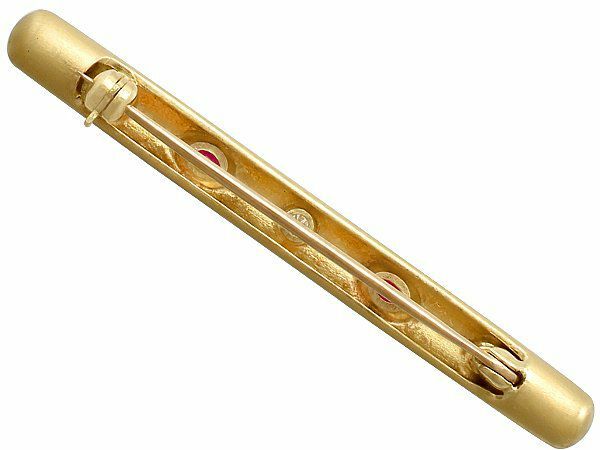 Length of earring setting 1.9cm/0.74"
Width of earring setting 5.35mm/0.21"